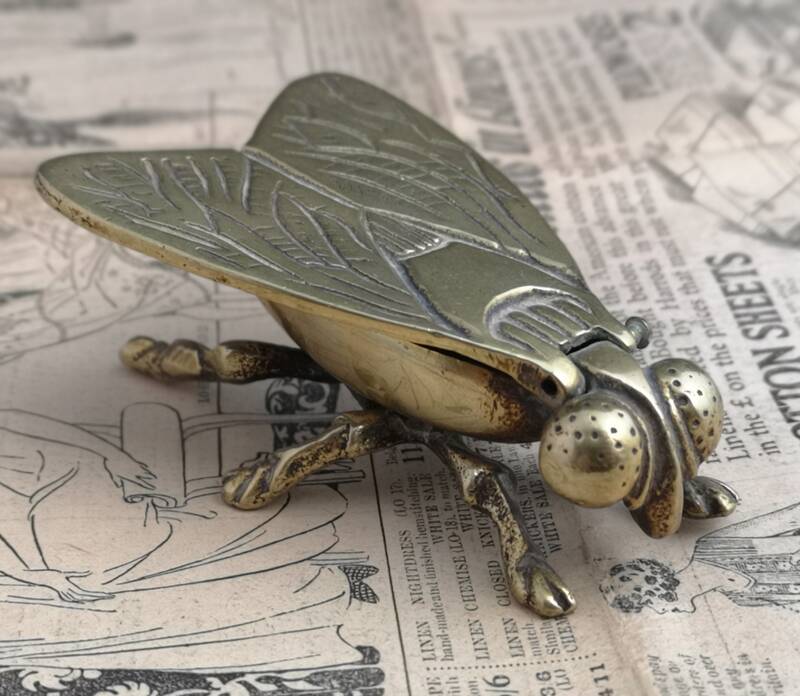 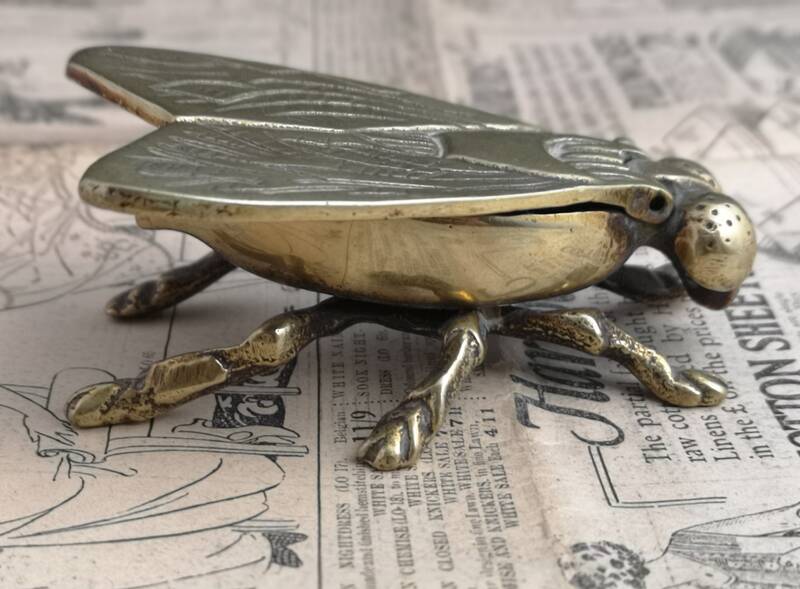 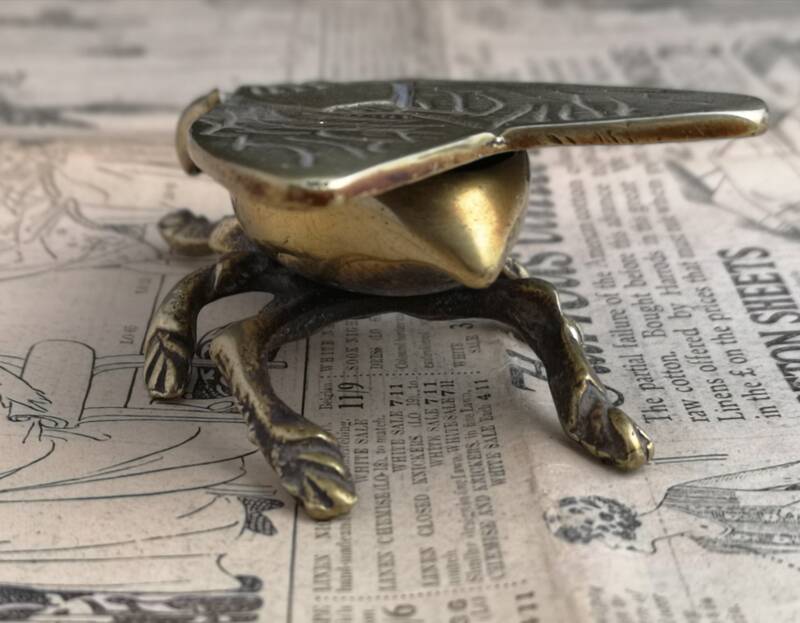 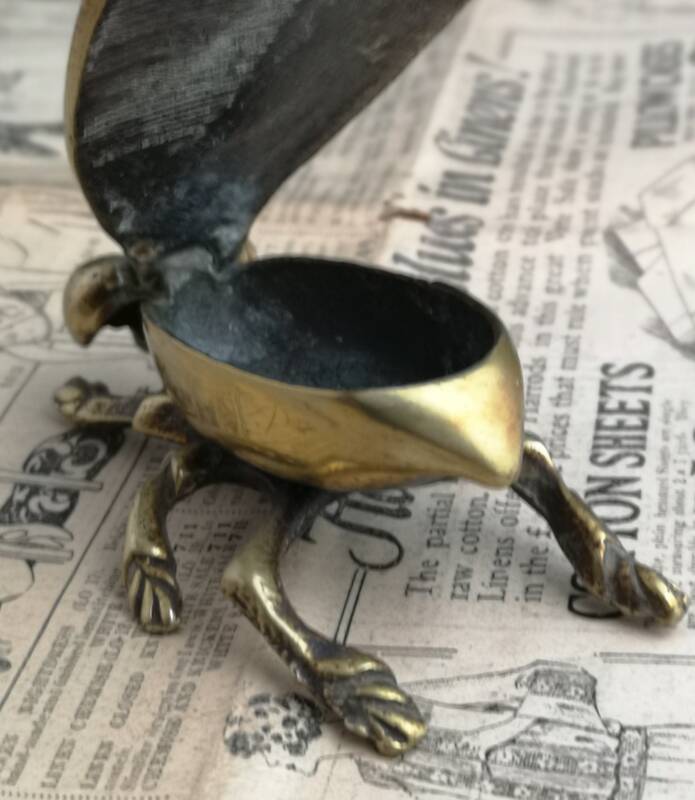 A fantastic and unusual piece with this novelty Victorian, solid brass table vesta in the form of a fly. 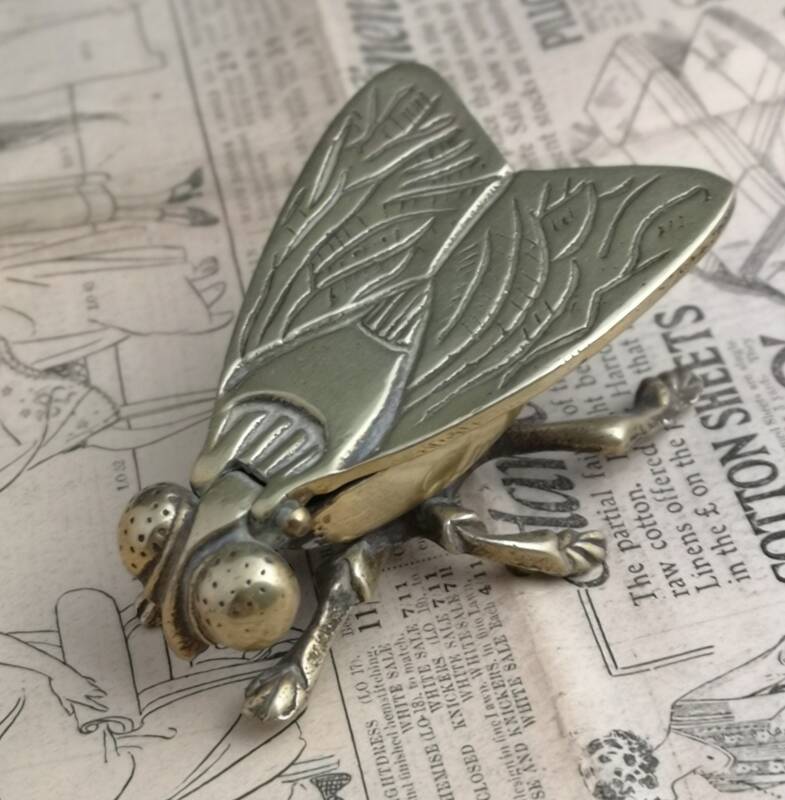 This oversized beast of a fly is made entirely from brass and stands on his six eeriely accurate feet, the wings are hinged and open up to store the matches inside the flys back. 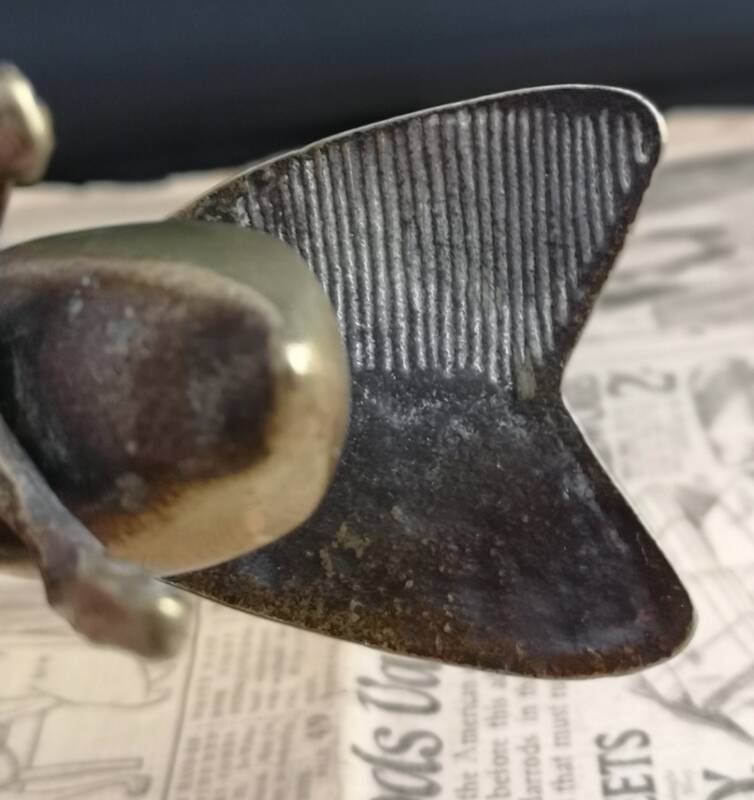 The underside of the wings when open are the striking area and have grooves running down horizontally to provide the perfect striking surface. 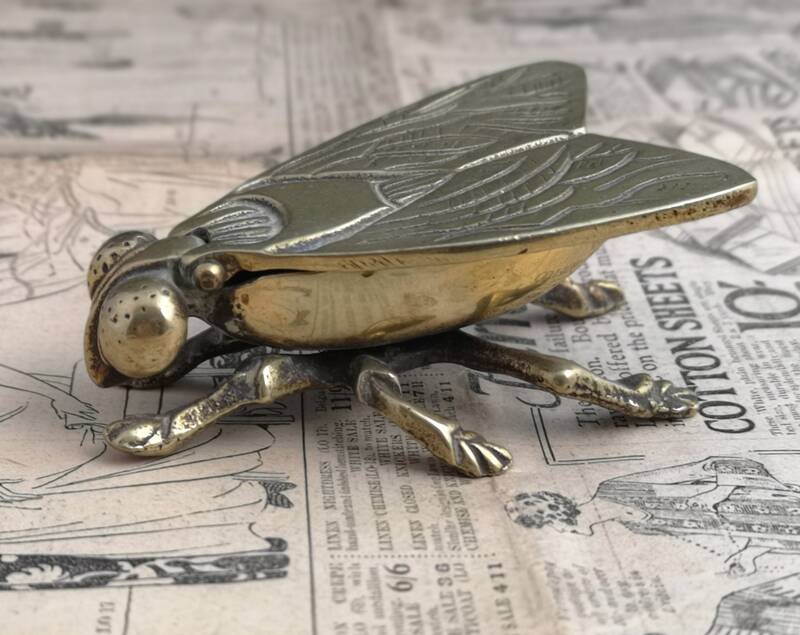 He is large and creepy and this makes him all the more fantastic, a functional piece of history that displays the Victorians' interest in the macabre with style.